We, at Arctic Air Inc, believe that in this tough economic climate, no one should be forced to spend money that does not need to be spent. In order to help save you money, we have compiled a short list of simple air conditioning maintenance items you can check yourself. 1. Check to make sure that your thermostat is set in the “cool” position. 3. Ensure that the blower motor in your furnace is running. If the thermostat is in the “cool” position, the furnace (or air handler) blower should be running. 1. Check to make sure that your thermostat is set in the “heat” position. 4. Check the circuit breakers at the electrical panel to make sure they are in the “ON” position. 5. Check the SSU switch (it looks like a light switch on a gray box located at the furnace) to be sure it is in the “ON” position. 7. 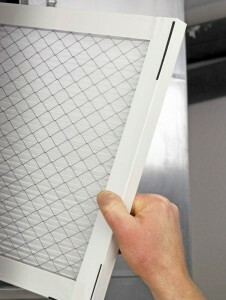 Check all return air grilles to make sure they are not blocked by furniture. Once you have checked all of these items (as appropriate to your system), and your unit still is not working, call Arctic Air Inc at 843-821-0937 or submit the form on the right. We are here to serve you!